Larry wrote some more on the 12 O’Clock High Forum. 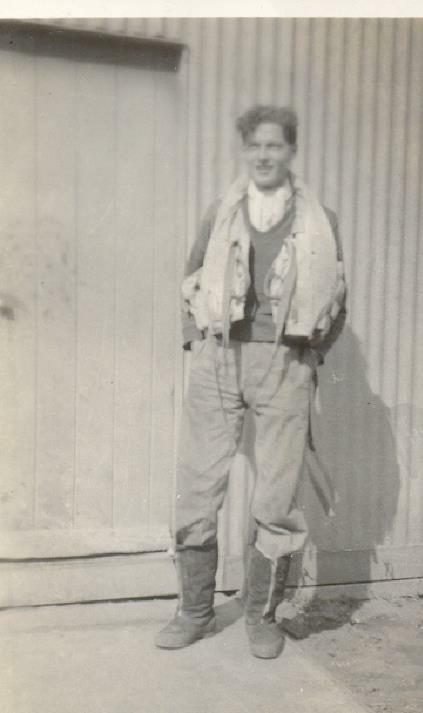 Photo of Tony Hauxwell of 238 Squadron in Australia. He was my dad’s best friend and came from a mining village in Nottinghamshire. 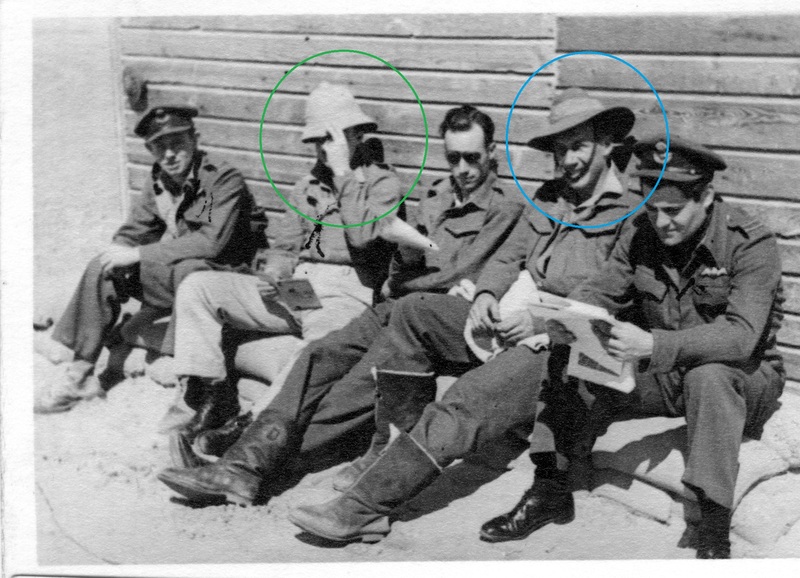 Luckily they were together from February 1942 when they joined 44th Entry at RAF Halton, then possibly at 575 Squadron (my dad can’t remember if he was with him at RAF Broadwell) then 48 Squadron (prior to D-Day / Arnhem until late 1944) and then both got posted to 238 Squadron! After 238 Squadron was disbanded Tony and dad went to Balikpapan, Borneo and immediately post war, circa 1947, they both got posted to 3 FTS at Feltwell for pilot training. Was there a policy in place during WW2 to keep friends together or was it pure luck? 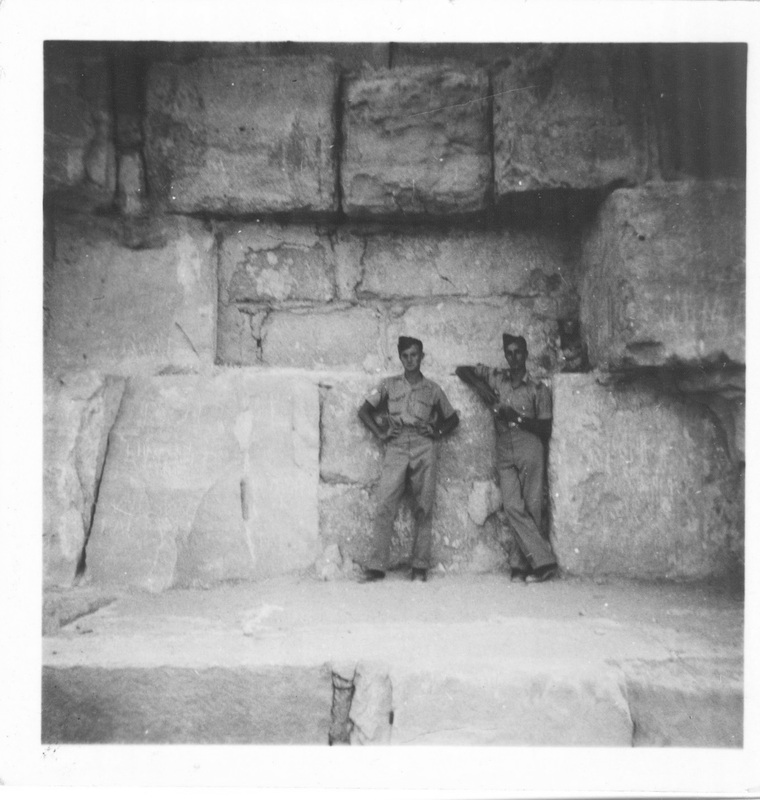 When they both got their ‘wings’ in 1948, dad got posted to Transport Command and flew Avro Yorks in the Berlin Airlift while Tony got posted to Fighter Command. Sadly Tony was killed in VZ518 of No.66 Squadron RAF, crashed 12th April 1951 on Sliddens Moss while on a cine gun exercise from RAF Linton-on-Ouse near York. More information on the accident here. At 9:15am on Thursday 12th April 1951 a flight of four Meteor jet aircraft took off from RAF Linton-on-Ouse near York for a training flight. Flying the lead pair were Flight Lieutenant David Merryweather Leach (WA791) and Flying Officer Tony Hauxwell (VZ518). The flight was to climb to around 30,000ft where the two pairs would carry out attacks on each other. The weather forecast for the day was for complete cloud cover from 1,500ft to 20,000ft, on reaching 30,000ft the four aircraft were still in thick cloud and radioed Linton on Ouse to inform them that the flight would be returning home. I know it is in French, but I will translate it later and tell you more about Alexis in upcoming posts. 1°: SHORES Christopher, MASSIMELLO Giovanni, GUEST Russell. A History of the Mediterranean Air War, Vol 1 : North Africa (June 1940 – January 1942). London : Grub Street, 2012. 560 p.
– p. 336, Combat aérien le matin du 23 novembre 1941 entre 18 Ju 87 du I./St.G 1 et 15 du II./StG 2 (escorte : environ 20 Bf 109 et G.50 dont 13 du 155° Gruppo C.T.). Une formation de Hurricanes des 229 et 238 Squadron intercepte l’adversaire au-dessus de Sidi Rezegh. Le Pilot Officer Collenette revendique un Ju 87 endommagé au-dessus d’El Adem (07:30 – 09:00). Son Hurricane Mk IIc (“T”) est lui aussi abattu dans l’affrontement, sans conséquence pour le pilote quoiqu’il doit rentrer à pied. (il y a un paquet de revendications des deux côtés, toujours est-il que 7 Hurricanes sont abattus et 4 pilotes tués ; 5 Ju 87 perdus et deux équipages tués ; 1 G.50 abattu). 2°: SHORES Christopher, et all. A History of the Mediterranean Air War, Vol 2 : North African Desert (February 1942 – March 1943). London : Grub Street. 2014. 736 p.
– p. 72 : 2 avril 1942. Vers 17h30, une formation de 8 Bf 109 du I./JG 27, 8 du II./JG 27 et 15 du III./JG 27 sont chargés d’escorter 12 Ju 87 du I./StG 3 pour attaquer des navires près de Tobrouk. 10 Kittyhawk du 260 Squadron et plusieurs Hurricanes des 80 et 238 Squadron décollent pour les intercepter au nord-ouest de Tobrouk. Durant le combat, le Pilot Officer Collenette (Hurricane Mk I “T”) revendique un Ju 87 endommagé vers 18h00 – 19h15. En tout, 1 Ju 87 est revendiqué détruit et 2 endommagés. Les Allemands indiquent la perte de deux Ju 87 (Ju 87 R-4 WNr. 6331 “S7 + HL” de la 3./StG 3 : Leutnant Otto Rietdorf / Feldwebel Rudolf Klünder PoW ; Ju 87 R-4 WNr; 6333 “S7+BH” de la 1./StG 3). 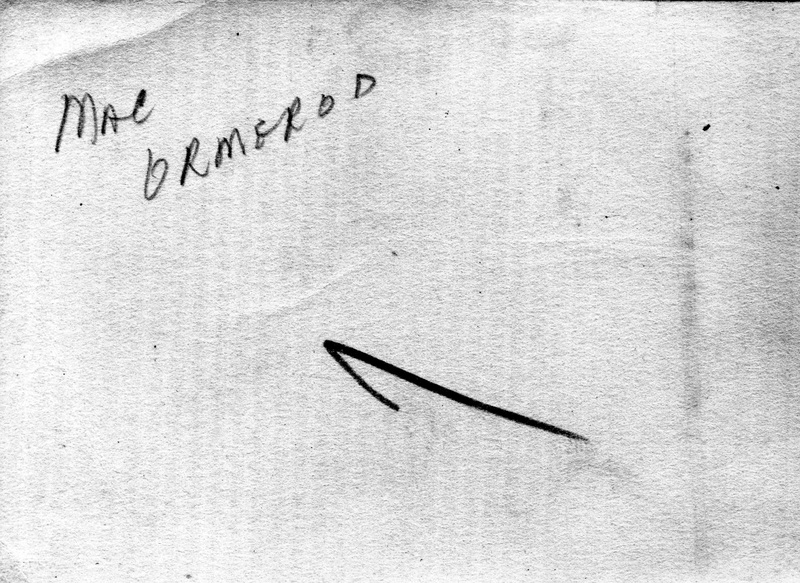 – p. 161 : A 10h20, 4 Hurricanes du 238 Squadron sont envoyés en reconnaissance sur la zone Fort Maddalena – Sidi Omar où ils rencontrent une Flak intense puisque deux appareils sont endommagés, tandis que le Hurricane Mk II (“T”) du Flight Lieutenant Collenette est contraint à un atterrissage forcé près de Sidi Omar (le serial du Hurricane pourrait être le BG954). NB : c’est le 23 juin 1942. – p. 173, 28 juin 1942. 10 Hurricanes du 238 Squadron sont en mission de reconnaissance au-dessus de Sidi Haneish lorsqu’ils sont surpris par 3 Bf 109 de la 1./JG 27. Le combat est très rapide et 5 Hurricanes sont abattus. Hurricane Mk II “T”, Flight Lieutenant Collenette, KIA. Hurricane Mk II “C”, Sgt M.P.S. Cummings, KIA. Hurricane Mk II “A”, Sgt W.B. Doig, safe. Le combat a lieu vers midi. 3°: PALERMO Michele. Eagles over Gazala : Air Battles in North Africa (May – June 1942). Roma : IBN Editore. 2014. 299 p.
– NB : il y a une erreur de frappe dans le livre, puisque le pilote est écrit sous le nom de “Collinette”. La page 183 confirme les informations sur la sortie du 23 juin 1942 et la page 208 fait de même pour la journée tragique du 28 juin 1942, quoiqu’il est indiqué que 6 Hurricanes sont revendiqués par la 1./JG 27 (4 et non 3 pour Steinhausen, ce qui est effectivement confirmé dans la liste des Luftsiege http://lesliesawyer.com/claims/tonywood.htm ). 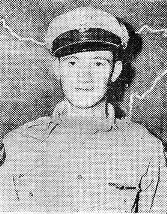 Flight Lieutenant Frank de Beauchamp Collenette died on June 28, 1942. Is Frank de Beauchamp Collenette on that shot? He commented some more on the blog. I think Frank may be sat at the front, first from the left. I will check my copy of the 238 Squadron ORB for June 1942. I hope more readers will join us and help us in finding who’s who on this picture. Can anyone help with identification of 238 Sqn RAF personnel circa 1942/43? 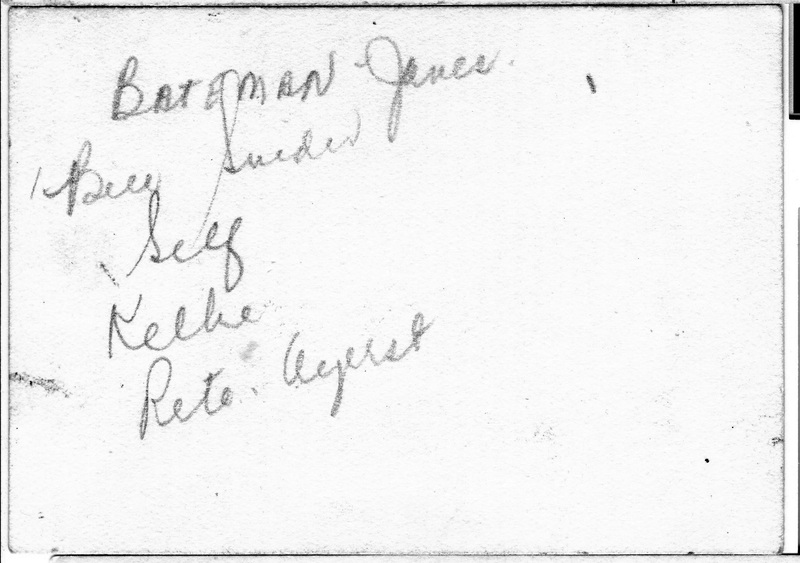 The following names were handwritten on photographs and in a logbook and so there may be spelling errors. If possible, I am after any clarification of names, service numbers and/or nationality? I am assuming most were pilots. Thanks in advance. Would you mind sending me a scan of the second photo as some of the names in it are of interest to me in my research into 127 squadron. 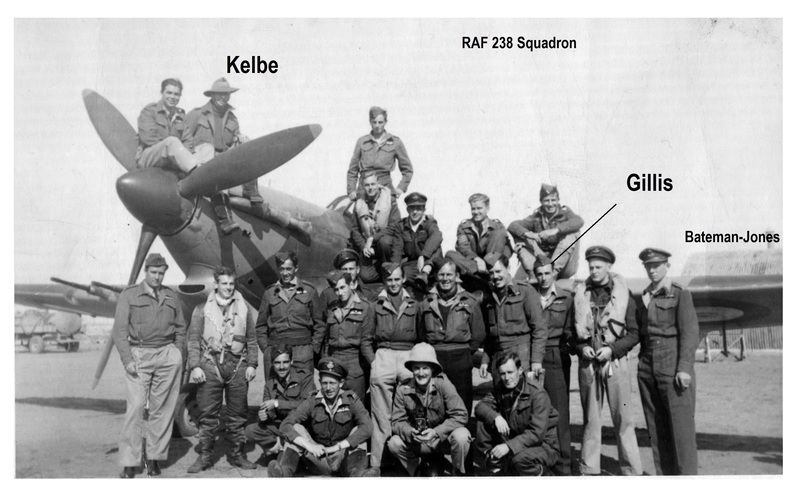 The men named above were some of the pilots that were attached to 127 Sqn in 1943. I think Alexander Zatonski was shot down and killed during the take off for his first sortie with 238 Sqn in the Western Desert. I do not think, there was any other airman with a Polish name on the Squadron. Thanks John, Andy and Franek. A few gaps filled in! ‘Smithy’ could also be Michael Lawrence-Smith RAF.1183367/139721 who, according to Those other Eagles, left 238 Sqn for 145 Sqn around December 1942. Andy, I will send you an email. I’ll let you know should I find others. Thank you Brian. I had H R Rowlands (Aus.402404) serving with 451 Sqn RAAF between Aug 41 and Sept 43. It does seem like a long stretch and therefore likely he may have been with 238 Sqn for a while before going to 213. Hi guys, bringing this OLD thread back up, perhaps someone could help me out a bit. I’m looking for information on a chap whose name was posted here. Bill Snider J8404 from Hamilton Ontario. I’m looking for general information, photographs and the like. Where he flew and when…..anything! I recently acquired his uniform, and want to know more about him. I believe he was with both 127 and 238 squadrons. He joined 238 Squadron on March 3rd 1942. He was then attached to 127 Squadron on May 30th, but he was back in 238 Squadron by 19th of June (last op with 127 Squadron on June 15th). He was tour expired on September 8th 1943 – still with 238 Squadron. 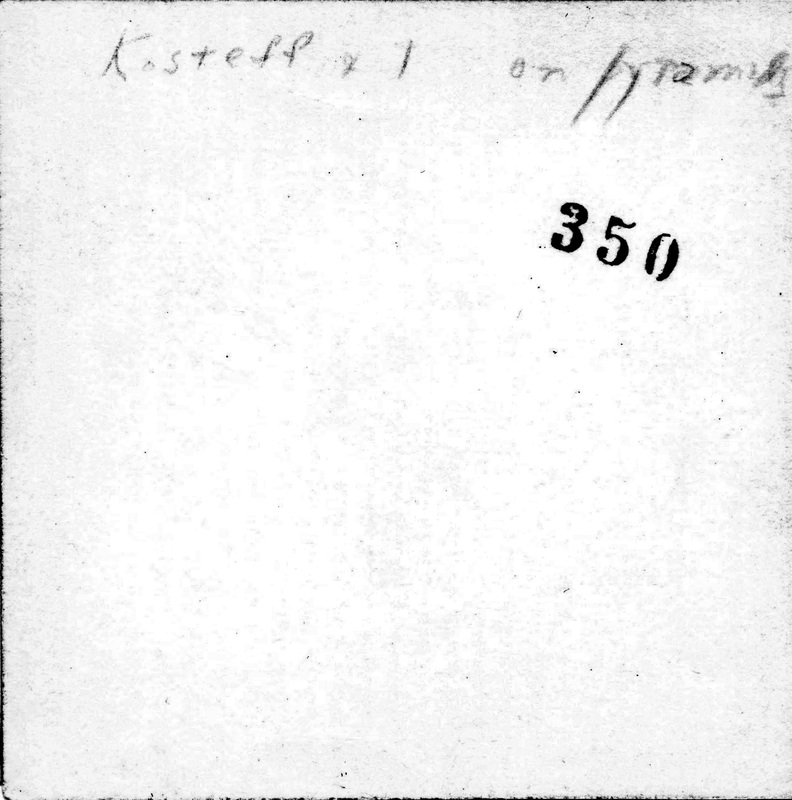 Kosteff has just crossed the 1,000-hour mark and, during this time in the skies, he has waved his dhobi-white handkerchief at the undertaker in 30 different types of aircraft, including single, twin and four-motored jobs – Fortresses, Liberators, Mitchells, Lightnings, Thunderbolts, Warhawks, Mustangs, Bostons, all types of transports, and liaison ships, besides such renowned Nazi-baiters as the Spitfire and Hurricane. I think he deserves some recognition more than being just a name on a caption on a picture. ASC BASE, INDIA – At 24, F/O Donald L. Kosteff, now serving as a test pilot for the CBI Air Service Command is no Johnny-come-lately at the grim business of aerial warfare. His new job, while packed with hazard, is strictly a lead-pipe cinch compared Kosteff with previous assignments. He’s rounding out his fourth year of combat, which until three months ago was spent with the RCAF and the RAF in the skies over London, France and Africa. Now he looks back on those death-laden days and comments, “It’s all right for young men, but you age awfully fast up there in those heavenly realms.” He’s satisfied to have five and one half Jerries to his credit. 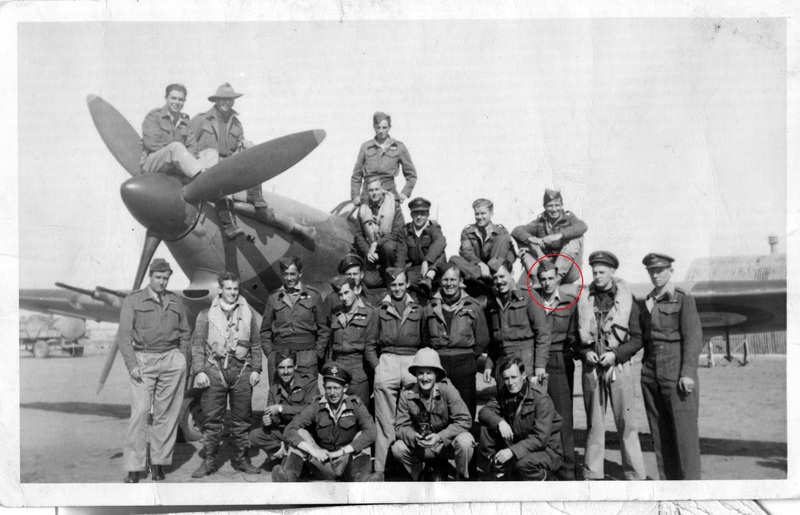 During the Battle of Britain, Kosteff, then 21, got his first taste of combat in large doses. He was too busy to put specific value on his life. He was shot down once at Heston on the outskirts of London; it was a murky night; he landed hard; but got up and walked away. During the raids on the English capital, he knocked down four Nazis and collaborated in bagging a fifth for a half credit. Late in the fall of 1941, he was assigned to form the First Spitfire Squadron for service in the Middle East, where he arrived in the spring of ’42 in time for Herr Rommel’s big push into El Alamein. Over the Suez he scored another credit when he downed a Heinkel 111. 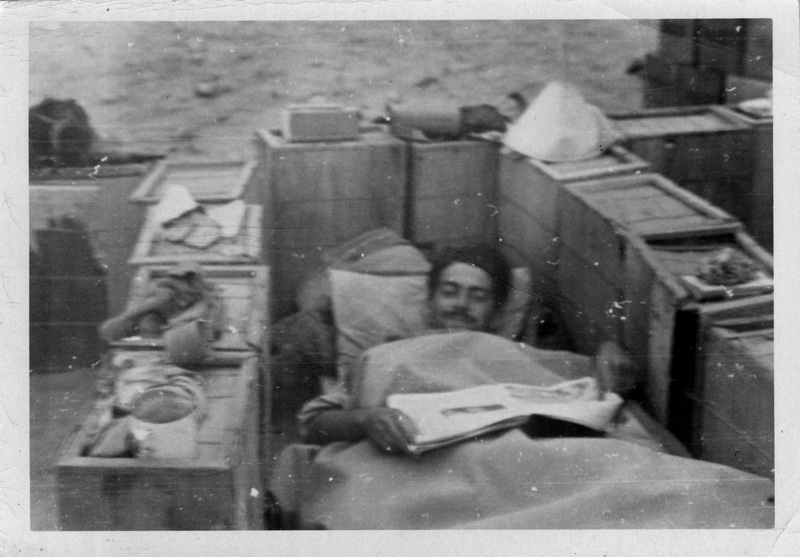 Kosteff’s most unforgettable moment however, was at Tobruk. He was one of the last two men to leave the seathing port, having remained behind to blow up a gasoline dump. He hopped into a Hurricane, a ship he never piloted before. As he puts it, “I learned how fast.” Tanks and anti-aircraft banged away at him as he took off, and, when he landed, he discovered that the right wing tanks, the oxygen rig-up and the hydraulic system had been shot away. It was a daily retreat from then on, but the Nazis came at night, too, dropping flares and encores of bombs. A fragment of one of these tore into his leg and it was five days before he got to a doctor. His last five months with the RAF, he was assigned to test lying. Names on the back of some captions. Larry Hayward commented some more on the 12 O’Clock High Forum after I had posted my message. 238 Sqn was reformed as a Transport Command on 1st December 1944 at RAF Merryfield. Originally to have Albermarles it received Dakota Mk III and Mk IVs and was tasked with supporting the British Pacific Fleet in Australia. The whole unit flew together to Australia in Feb 1945, via Istres, South of France, then Castel Benito in Libya, El Adem, Libya, then Tel Aviv in Palestine, Shaibah in the Gulf, then on to Karachi then Mauripur in India and finally Comilla in Bengal. I say ‘finally’ as 238 Sqn found that their journey to Australia had been disrupted by the need for 238 Sqn to support the 14th Army in its offensive. One Dakota KN251 (with my dad on board!) crashed on take off at Castel Benito after failing to get airborne, as it was too heavily overloaded. It went through wire at the end of the runway and caught fire and so was written off. My dad actually went back in to the aircraft to get his kit and then attempted to put out the fire in one engine with a fire extinguisher until the fire crash tender arrived! The attached photo shows one Dak that was hit by a Japanese shellfire up country at Meiktila. The crew of Douglas Dakota Mark III, KN232, of No. 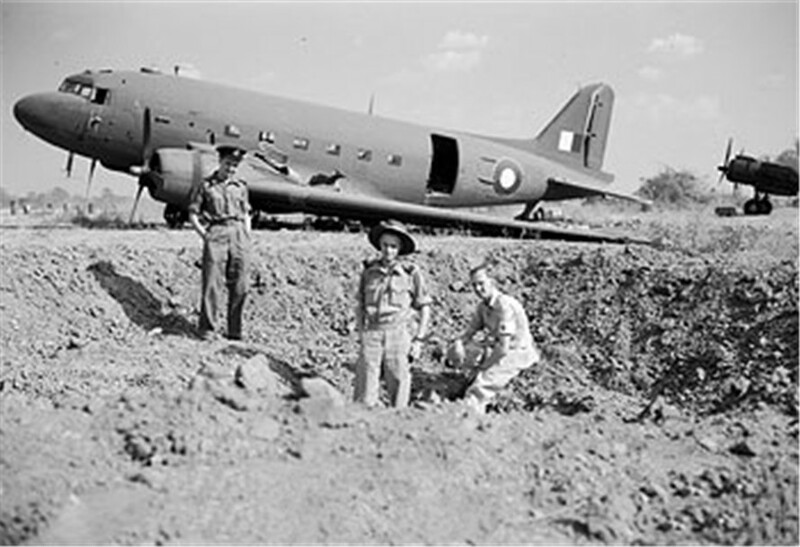 238 Squadron RAF, (left to right), Flying Officer J. Creech (navigator), Flight Lieutenant T. J. Bayliss (pilot) and Leading Aircraftman I. Fiddes (nursing orderly), in a bomb crater by their damaged aircraft after it was shelled by the Japanese before take off at Meiktila, Burma. The ‘experience’ nearly killed my dad from dysentery but luckily after leaving 14 BGH, (British General Hospital), he was able to re-join his Sqn when they left for Australia at the beginning of July 1945 and flew in Dakota IVs (with overload tanks) from Comilla to Colombo in Ceylon (12 hours airborne) and then Colombo to Cocos Islands (17 hours in the air). After reassuringly finding these islands the Sqn later set off for Learmouth in Western Australia, which was then a dusty outpost, mostly with tented accommodation. Incidentally in Burma and Australia 238 Sqn seem to have had no code letters or individual aircraft codes.